Eric Braeden, Victor Newman on The Young and the Restless. He’s had a varied and rich career. 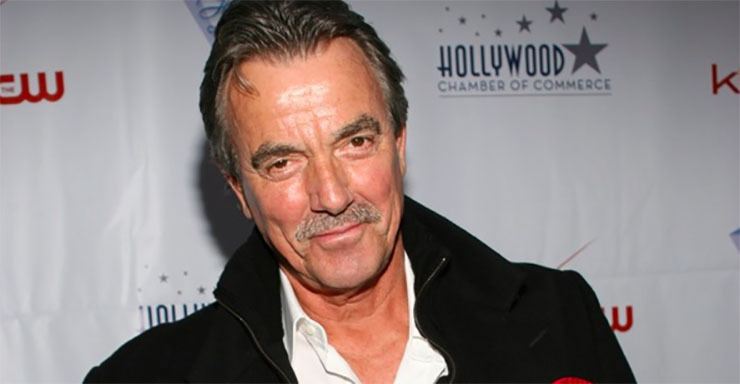 Get to know Eric Braeden, the complicated Victor Newman on The Young and the Restless! His real moniker is Hans-Jorg Gudegast. He used his given name upon his entry into acting, and changed it after taking the lead role in a 1970 sci fi flick. His adopted last name is a tribute to Bredenbeck, the German town where he grew up. Braeden’s is birthday’s April 3rd. That makes him an Aries, the sign of the ram. Aries are “courageous, determined, and confident,” according to astrology-zodiac-signs.com. That sounds like Victor Newman too! Braeden came to the U.S. at age 18, first via New York then on to Galveston, Texas where he stayed with a cousin. He then attended Montana State University, where he excelled at track and field–including participating in the discus, javelin, and shot put events. Soccer was also a passion of his, and he helped the soccer club Maccabi L.A. win the 1973 Challenge Cup with his participation as a fullback. He has said that soccer is the most difficult sport regarding coordination so it allows one to “easily play” other sports. Braeden takes to the tennis court in his spare time. Braeden had a long list of TV credits prior to his Y&R debut in 1980. Among those are Combat!, The Man from U.N.C.L.E., The Rat Patrol, to Gunsmoke and The Mary Tyler Moore Show, just to name a few. Braeden has lent his talent to many films as well. These include Escape from the Planet of the Apes, Herbie Goes to Monte Carlo and the 1997 smash, Titanic, in which he played Col. John Jacob Astor IV. Braeden won the Daytime Emmy in 1998 for Outstanding Lead Actor in A Drama for his portrayal of Victor. He also has his very own star on the Hollywood Walk of Fame, received a Distinguished German-American award in 1990, two German Medal of Honor Awards and a Humanitarian Award from the government of Israel. And these are just several of his many accolades! Braeden’s autobiography was released earlier this year. It’s entitled I’ll be Damned. Braeden and his wife Dale have been married for over 50 years. They have a son, Christian, who’s a screenwriter. Braeden left his role of Victor in 2009 during salary negotiations. Fortunately for Y&R fans, it was resolved and he returned to his iconic role. Previous ArticleHighlights From the 44th Annual Daytime Emmy Awards!